Eligible Candidates can Download GIC Lecturer Admit Card at the Official Website of UPPSC. Click on Recruitment Link at Home Page. 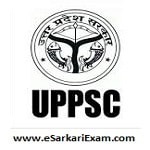 Click on Lecturer Government Inter College Screening Exam Admit Card Link. Fill Required Details and Click Download Admit Card Button. Download and Print Admit Card.